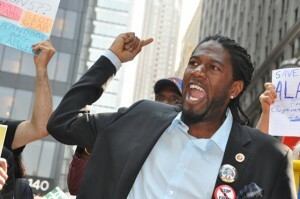 NY City Council Member Jumaane D. Williams at the one-year anniversary of OWS in New York City. Photo Len & Nancy Tsou. 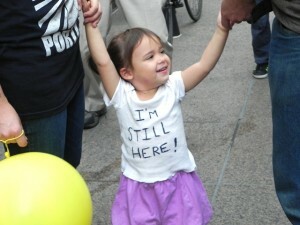 This past weekend marked the one-year anniversary of Occupy Wall Street. Nancy and Len Tsou, intrepid photographers, were there to document. See their images here. 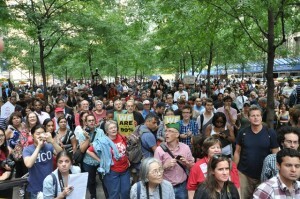 Labor Union assembly at Zuccotti Park at noon. Photo Len & Nancy Tsou. 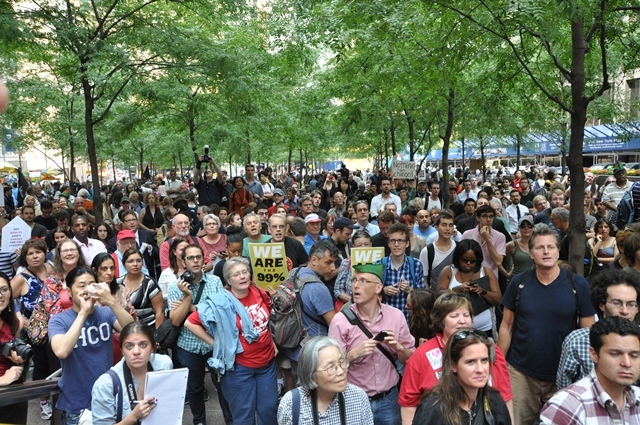 Occupy Wall Street, one-year anniversary, New York City. Photo Len & Nancy Tsou.